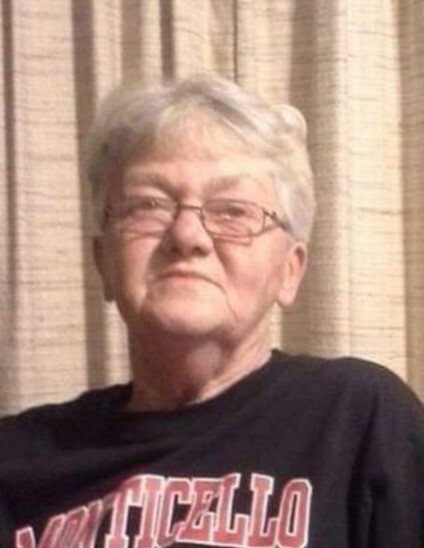 Dorothy Marie Cruise, 77, of Olin passed away Monday, March 18, 2019 at her home. Funeral services celebrating her life will be held on Friday, March 22, 2019 at 10:00 am at St. John’s Lutheran Church in Olin, Iowa. Family and friends may call on Thursday from 3:00 to 8:00 p.m. at Lahey Funeral Home in Olin. Burial will be at the Olin Cemetery. Dorothy Marie Krutzfield was born on February 2, 1942 in Anamosa Iowa to Richard and Mary (Paulsen) Krutzfield. She was a 1960 graduate of Olin High School. She met and then married Lavern William Cruise on June 23, 1961 at St. John’s Lutheran Church in Olin. When they were first married, Dorothy worked at Collins Radio. She then stayed home to take care of their children and to help Lavern on the farm. She worked at many local restaurants as a cook and bartender including the Red Barron, Ditto’s, Hale, and Valley View. In her later years she had a house cleaning business and cleaned for Lahey Funeral Home. Dorothy was a member of St. John’s Lutheran Church in Olin. She liked to fish, camp and spend time with her family. She enjoyed feeding and watching the birds at her farm. Dorothy is survived by two children: Dean (Kerri) Cruise of Olin and Penny (Todd) Schmit of Monticello, ten grandchildren; Jon (Sarah) Cruise, Shelby (Cody) Dusenberry, Brandon (TyAnh) Cruise, Sean (Taylor) Poduska, Stefani (Quinn) Williams, Jacob Poduska, Adam Poduska, Douglas(Katie Allison) Cruise, Emma (Grant Miller) Schmit, Mary Schmit, nine great-grandchildren, one brother Leroy (Sherri) Krutzfield, and one sister-in-law Marie(Chuck Ford) Krutzfield. She was preceded in death by her husband Lavern, her parents, her sister Judy, and brother Larry. Memorials may be given to St. John’s Lutheran Church or the Olin Ambulance.